1. There’s a place on the Isle of Man called The Sound. There’s a cafe there. 2. 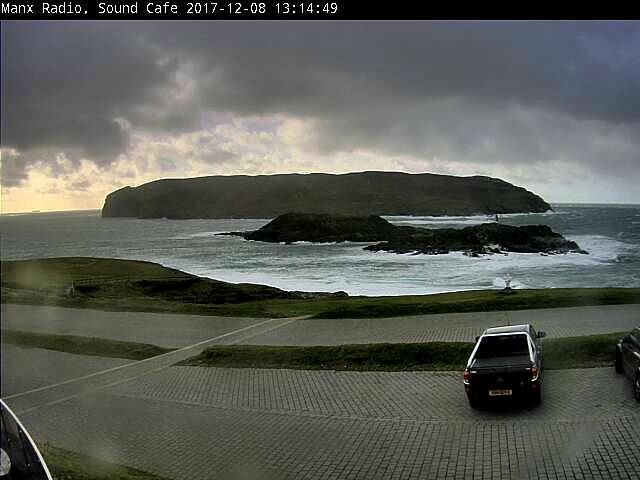 On the cafe building is a webcam, which one can view through the Manx Radio Webcams page (it’s the one on the bottom left, between Port Erin and Port St Mary). 3. It was very hot in Cape Town yesterday, and very cold in the Isle of Man. I wanted to apply this principle. But the webcam lens was very dirty (sea spray, rain, sleet etc). Fastyr mie from Cape Town, South Africa. It’s 40-odd degrees here and I’m craving something cooler. I recognise that it’s pretty chilly there today and I’m not sure how accessible it is, but if you could give the webcam lens a quick wipe, I’d really appreciate it. Thanks. That, I think I am right in saying, is the spirit. 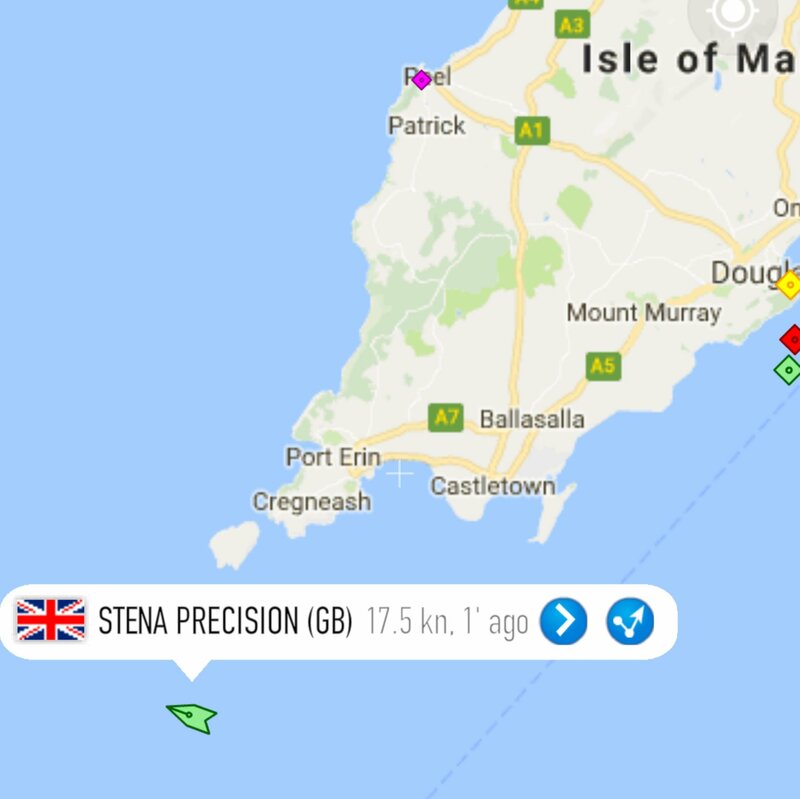 Allowing me not only to see the drama of the waves crashing onto Kitterland, but even the (rather less dramatic) Stena Precision en route to Belfast from Birkenhead (on the horizon, far left). And yes, there’s still a bit of muck in the corners, but the weather is clearly a bit wild there at the moment and like they said, the webcam is “not exactly accessible”. All in all, a great effort and really amazing service.